The Brick Castle: The Reward Box - rewarding children in style (review). 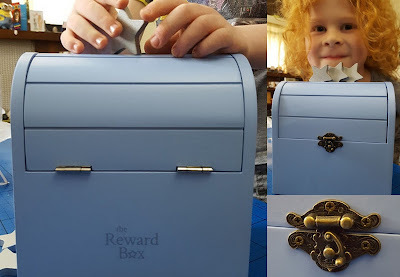 The Reward Box - rewarding children in style (review). 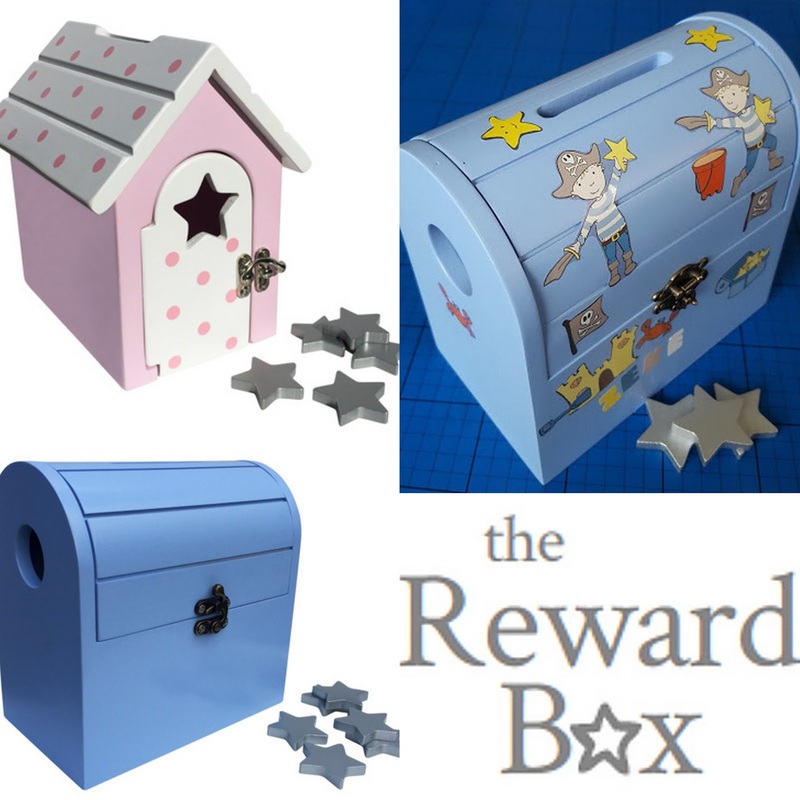 The Reward Box takes 'star charts' to a new level, with 3D wooden stars to collect in order to achieve your treat. 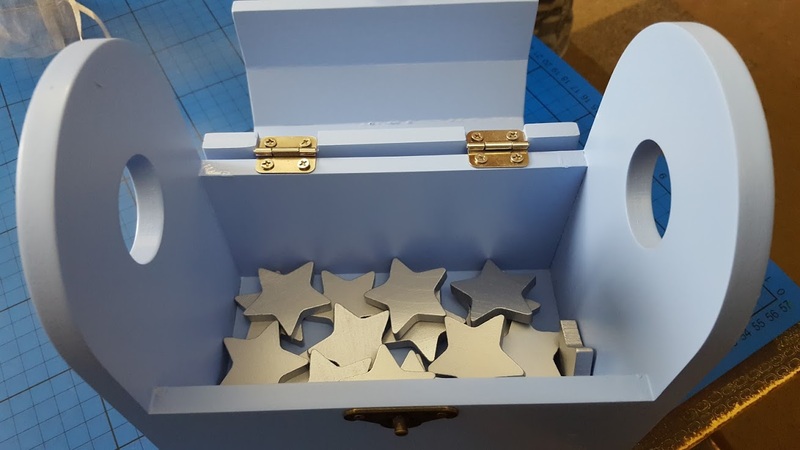 Your child personalises their own box, using the enclosed stickers if they wish, and they can keep charge of it and count their stars themselves to keep track of how well they are doing. I'm a big fan of positive reinforcement and I like to be able to encourage my young people to act with care for themselves and others, so we've long been fans of star stickers and reward charts. My youngest child has had sleep issues, can be a bit boisterous and gets carried away easily, which results in breakages, injuries and annoyed cats. He rarely ever has bad intention, and has an immense sense of pride when he feels he's pleased us, so we have regularly had reward charts for him in the past. He was an obvious candidate for review. 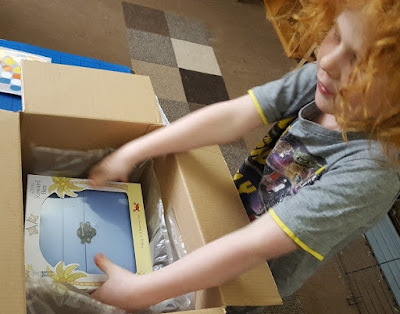 My son was absolutely delighted with his Reward Box, which was a great start and really better than I could have hoped. I hadn't realised just how happy he is whenever he gets a star, he genuinely was ecstatic at having his own actual box and stars. We chose the Pirate Reward Box (the Fairy Reward Box is also available). 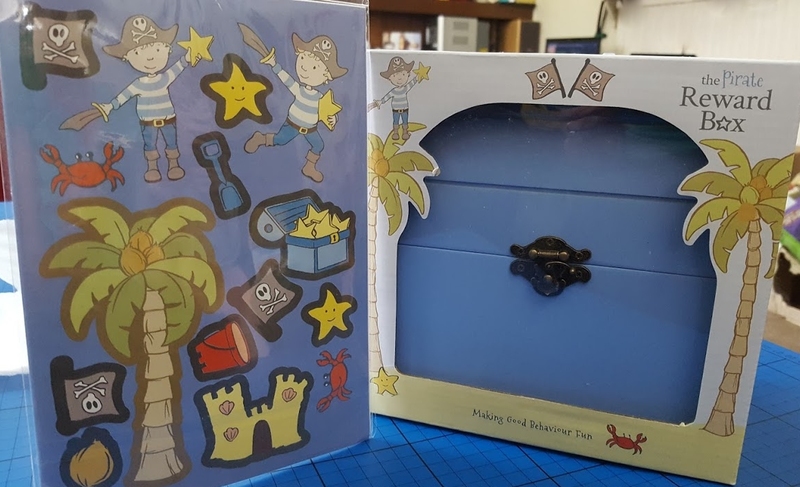 The box is really nicely made, in a treasure chest style and a gorgeous blue. 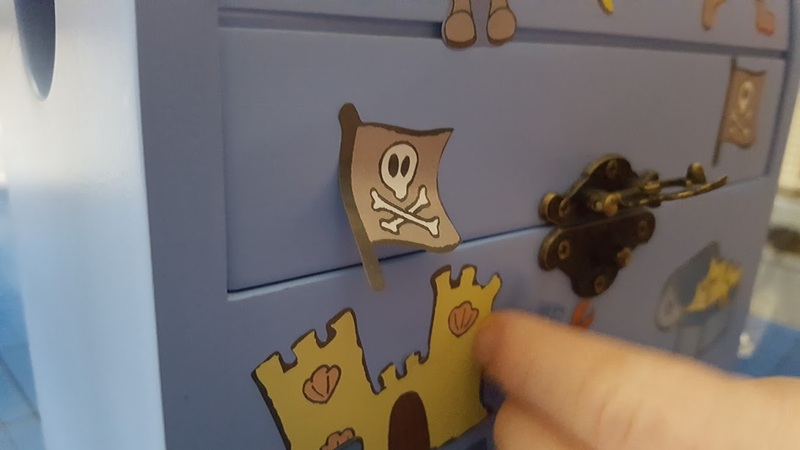 The clasp is a nice touch, it fastens securely, and the two holes either end allow your child to easily carry their reward box or peep inside. 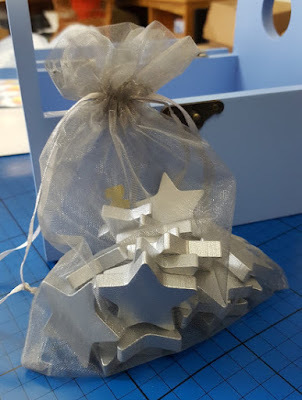 There is a slot in the hinged lid for the stars, and 20 really neatly cut silver painted wooden stars are included in a mesh drawstring bag. Because my son is 6 we'll use them all, but younger ones might find that wait too long. My craft-hating 6 year old thoroughly enjoyed personalising his Reward Box, look at the pride in that face! 2 weeks later and he loves his reward box. He is saving his stars and knows exactly how many he has, most of which he's earned for random acts of kindness or helpfulness, and for being gentle. 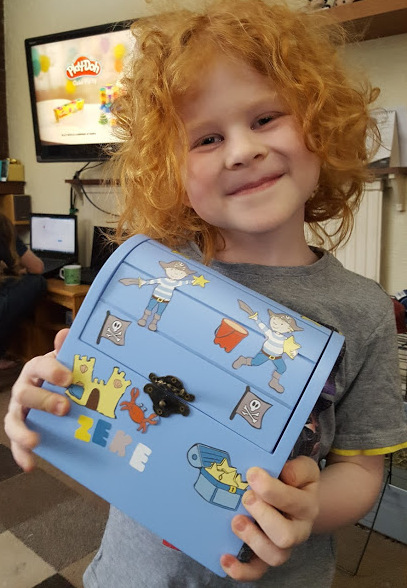 The Reward Box is available online now in a choice of Fairy Cottage or Pirate Chest. It costs £35 which includes the Reward Box itself plus bag of 20 wooden stars, personalisation sticker sheets and postage. If you order before 31st May 2016 then The Reward Box will give you a 20% discount by using the code Castle when you order. They all love putting stickers on everything inching my wall !